Lina Hansson and I wish all the best for 2013 to all readers of the EPOCA blog! We thank you all for your interest. Even though EPOCA came to an end in June 2012, we have been able to maintain this blog, partly thanks to support from the International Atomic Energy Agency (IAEA). 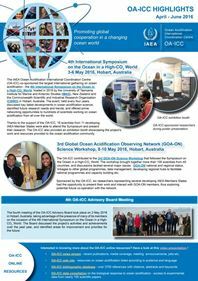 The blog will soon be transferred to the Ocean Acidification International Coordination Centre and operated from IAEA. We hope that the transition will be smooth; stay tuned for more information. The WordPress.com stats helper monkeys prepared a 2012 annual report for this blog: click here to see the complete report. I remind you below the content of the “About” page and, also, that comments are always welcome. Just type your comment in the box located below each article. Note that comments are moderated. This blog was started in July 2006 as a “one man” effort. It is a product of EPOCA, the European Project on Ocean Acidification since May 2008 and it is sponsored by the IMBER and SOLAS projects since January 2010. 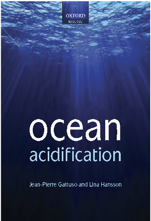 Its only ambition is to centralize information available on ocean acidification and its consequences on marine organisms and ecosystems. By no means it is meant to be comprehensive but we are trying to provide an unbiased view of the literature and media articles. The owner of this blog, the European Commission and the sponsoring organizations do not endorse the information published.